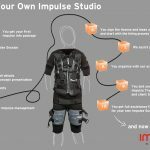 The way to your own Impulse Studio! Yes it is easy to become your own boss, we just need your commitment. Impulse Studio offers you all training and workshops to have a smooth and successful operations. Avoid initial mistakes and gain customers from beginning. Apply for your Impulse License.